Be one of only 70 guests to join Lan Su Chinese Garden for an exclusive party in one of Portland's most prestigious historic homes! 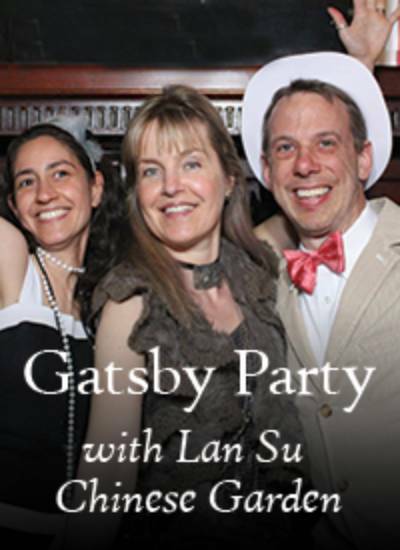 Anne & Richard De Wolf owners of Portland-based design-build firm Arciform (www.mianicholson.com) and friends of Lan Su are hosting a Great Gatsby-esque party in their fabulously restored 1904 historic mansion on Saturday, April 27, 2019. Listed on the National Register of Historic Places as the Isam White House, the home is a stunning example of a Colonial Revival in Portland's Alphabet Historic District. Tickets are $100 per person ($50 tax-deductible) and all proceeds benefit Lan Su Chinese Garden. Enjoy live jazz by Mia Nicholson (www.mianicholson.com), couture cocktails, and select hors d'oeuvres from clarklewis (www.clarklewispdx.com).